The Store Opened with a bang on July 21st at Equipment Pick-Up Day! Concession Staff as announced is offering limited menu by night at Practice's again this year for our members convienience. Candy, Chips, Crackers, Granola Bars, Hot Dogs, Soda, Water, Gatoraide. On some evenings: Pizza & Burgers. 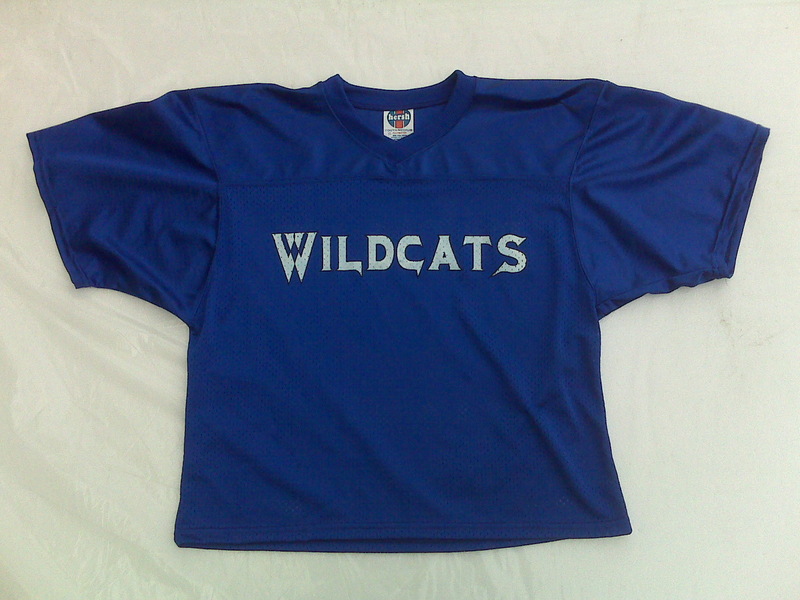 The 2nd Practice Jersey order is available for pick-up at the Wildcat Wares Store. 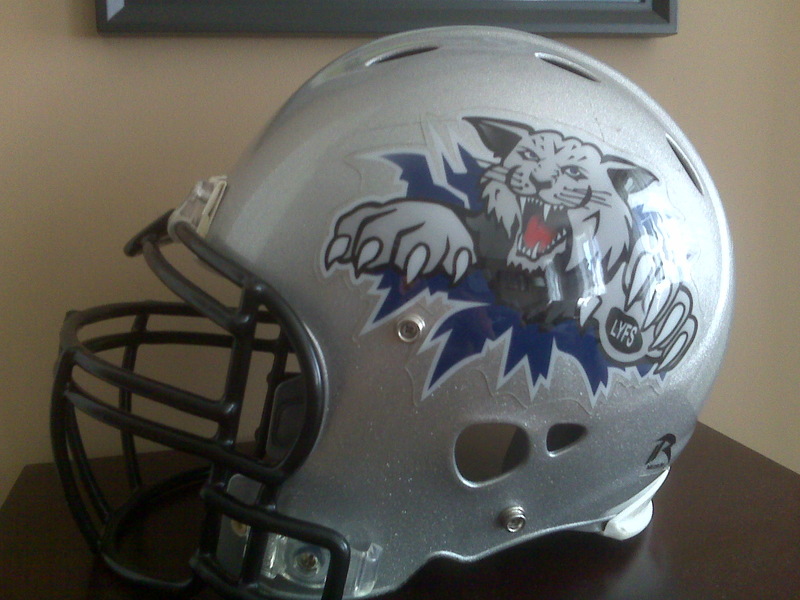 There will only be one more order in 2012 and that will go on August 17th with 10 to 14 day turnaround (Cost: $20 as pictured $25 with last name on back). 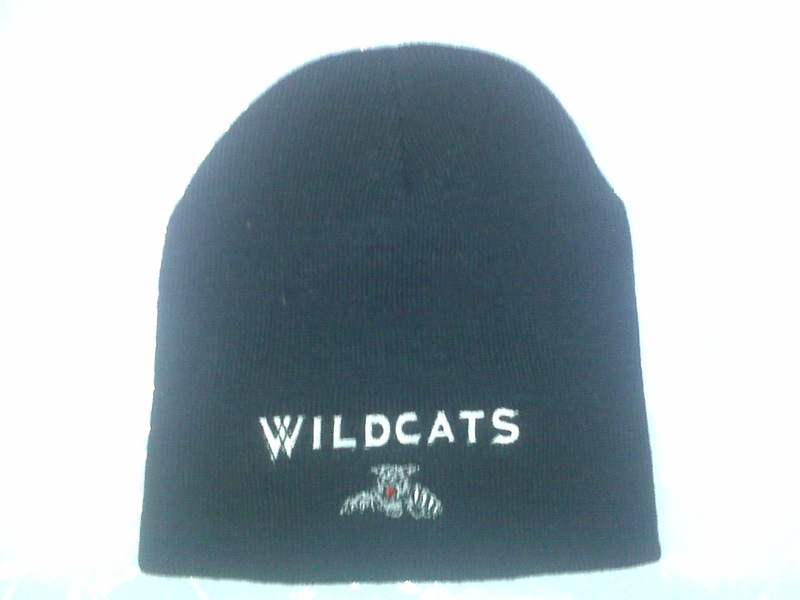 Wildcat "Coozies" New in 2012 for cans or bottles $3 per coozie (2 for $5) are available now at the Wildcat Wares Store. 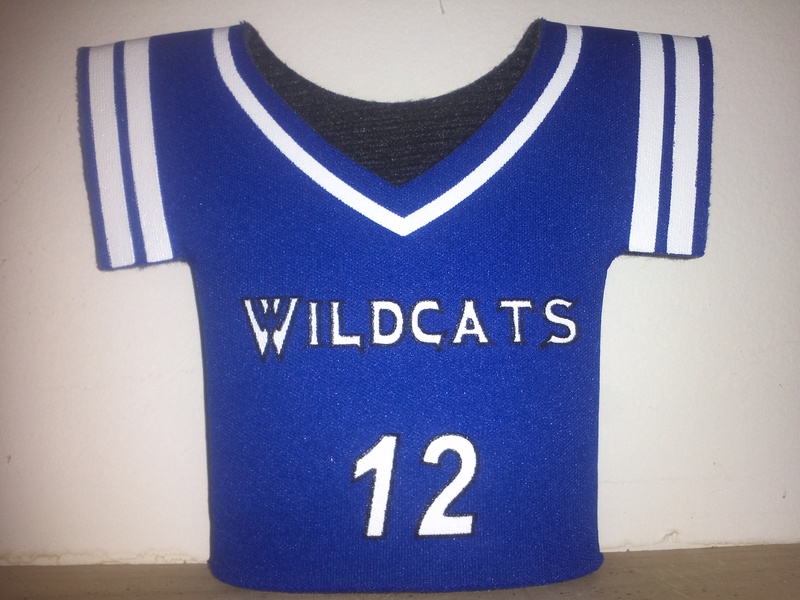 They will look like a Wildcat Practice Jersey above with the number "12" under Wildcats for the year (2012) and our beloved Pats QB Tom Brady! 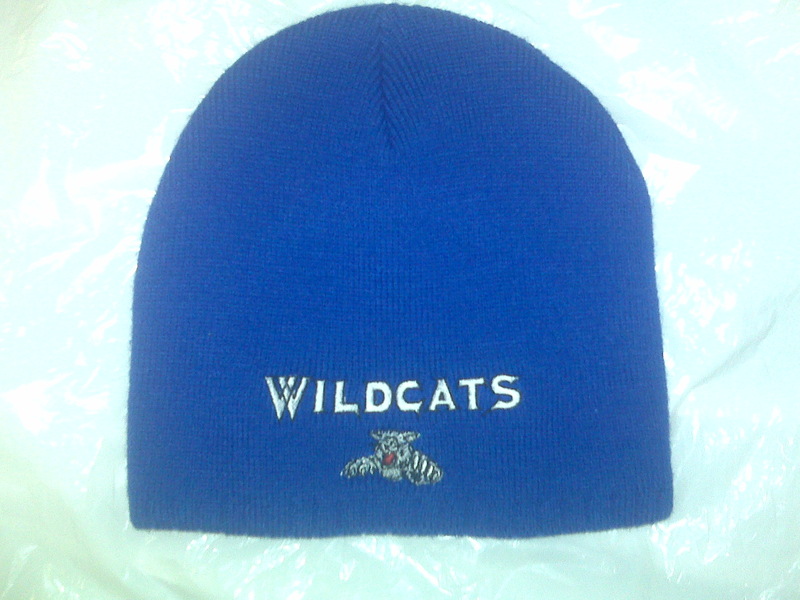 Black & Blue Beanies Caps ($10) A new order is in! 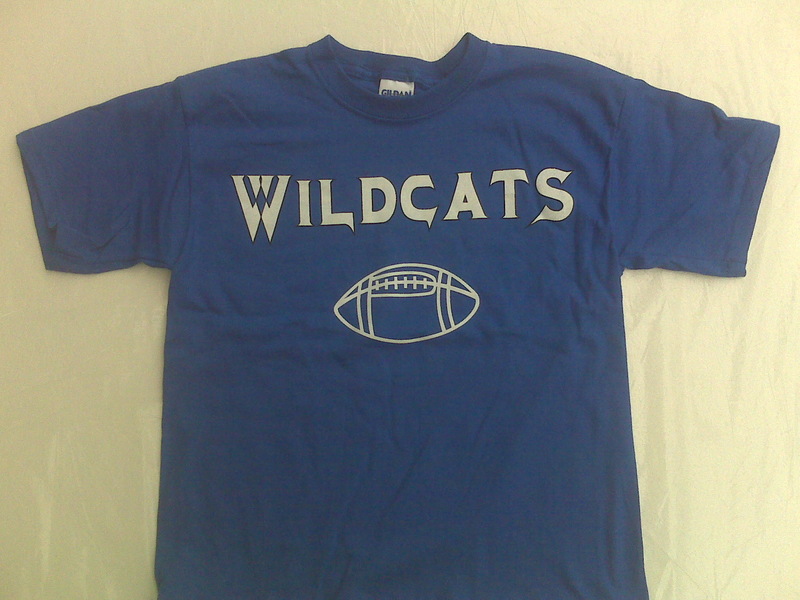 NEW Youth Size (Small & Medium) Adult Size (S,M,L,XL, 2XL,3XL) Wicking DryWeave Wildcats Football Shirts $15 are available now in Royal Blue. New Order being placed in August. 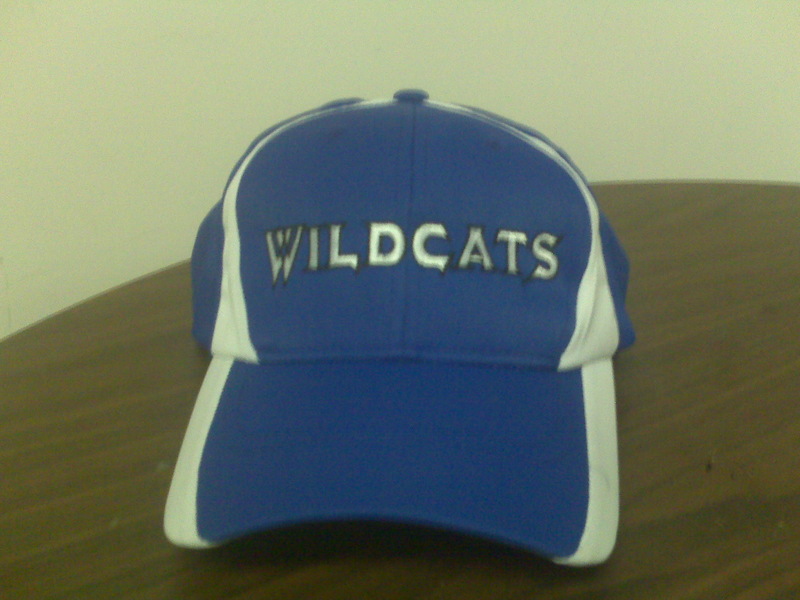 Stadium Chairs are HERE Great for ANY Londonderry sport on a bleacher only $12 ("I Support Londonderry Athletics"). 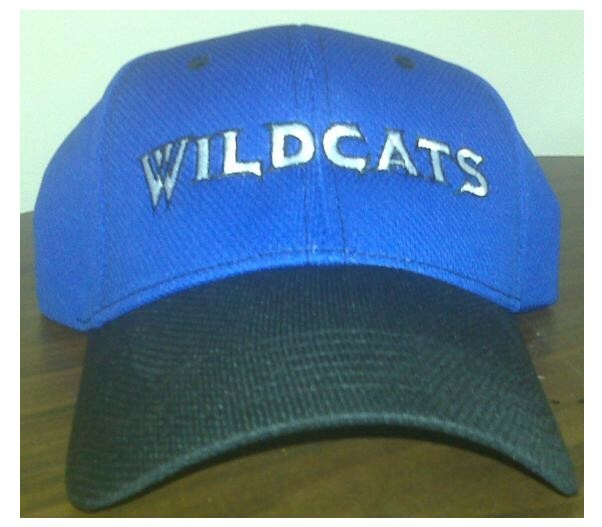 Wildcats Camping Folding Chairs $20 are in-stock now at the Wildcat Wares Store! See you on the Fields and Thanks for your Support!!!!!!!!! !